The cost of post-secondary education—college, university, community college or career or trade schools—continues to rise. But pursuing higher education can be worth the investment. This report takes a look at the most common loan opportunities available for higher education and provides information on how you can learn more. Most important, there are many sources of financial aid to help you pay for post-secondary education. The National Center for Educational Statistics reports that approximately two-thirds of all students receive financial aid. 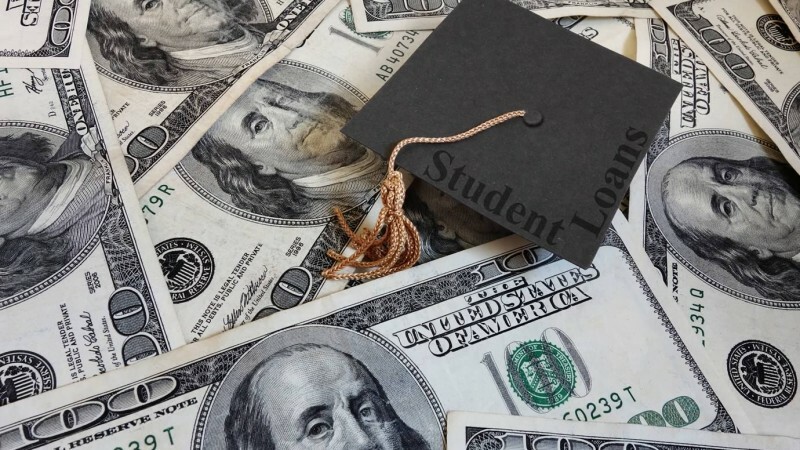 Although at the mention of "financial aid" most of us think "scholarships" or "grants" (assistance that does not need to be repaid), in fact, education loans of many types make up a substantial portion of the financial aid available to many students. This report takes a look at the most common loan opportunities available for higher education and provides information on how you can learn more. What Part Do Loans Play in Financial Aid? Grants and scholarships. These awards are "gifts"—that means they do not need to be paid back, as long as the recipient meets the terms and eligibility criteria of the award. Many are both need-based and merit-based. That means you need to demonstrate both a financial need for the grant and meet certain academic standards. (Some scholarships given by educational institutes may be merit-based only.) Every educational institution has its individual scholarship programs and qualifying institutions offer federal grant student aid, such as Pell Grants. Work-study programs. Almost all higher education institutions offer work-study programs in which you receive a stipend for work performed. The U.S. Department of Education funds federal work-study programs that are awarded and administered by participating educational institutes. Usually the pay under these programs must meet at least minimum-wage standards. Loans. Federal education loans and private education loans form the two major types of loans for higher education. Education loan programs exist for students and for parents of undergraduate students who are dependents. Interest (or a portion of interest) on education loans may also be tax deductible for some students and families. The major categories of loans include federal loans programs for students and for parents of dependent students and private loans for students. There are also education loan consolidation programs that allow educational borrowers (typically after graduation) to combine all their loans into one payment. Federal loan programs typically offer lower interest rates and more flexible repayment plans than private education loans. In addition, loans for students who meet financial need criteria do not accrue interest while the student is in school (or for certain other periods) or the government pays the interest for this period. These are the basic types of federal student loans. Federal Perkins Loans. These loans of up to $5,500 annually (maximum $27,500) for undergraduates and $8,000 (maximum $60,000) for graduate students are awarded and administered by participating schools. Schools determine the amount of loan offered up to the maximum. Borrowers also repay the school or its agent. The current interest rate is 5% for loans in repayment. Federal Direct Subsidized Loans. To qualify for one of these loans students must be enrolled at least halftime in school and meet certain financial need criteria. The annual loan may range from $3,500 to $5,500 depending on grade level. These loans are available to undergraduates with financial need. The interest rate changes for each academic year (starting July 1) is fixed for the life of the loan. The school (if it participates) determines the amount you can borrow. The amount can not exceed your financial need. Federal Direct Unsubsidized Loans. To qualify for one of these loans students must be enrolled at least halftime in school. There are no need-based criteria so any academically eligible student may be eligible for these loans. The annual loan may range from $5,500 to $20,500 (including any subsidized amounts) depending on grade level. Another difference is that the federal government does not pay the interest on the loan while the student is in school. Generally, the interest accrues and is "capitalized" as part of the loan. Federal PLUS loans. These are loans that parents may obtain for dependent undergraduate students. Many different financial institutions offer private education loans that are not guaranteed by the U.S. Department of Education. These loans in general offer higher interest rates and less flexible repayment programs. However, some private education loans may be competitive and offer good terms. If you are considering a private loan, shop the loan and compare terms just as you would for any type of loan. Another option that may be appropriate for some students or their parents is using a home equity loan. This option may provide certain benefits to some families, but it is important to consider both the benefits and potential drawbacks before deciding to, in essence, use your home as security for your education or your child's. Consultation with your financial advisor is recommended. What Is FAFSA—Free Application for Federal Student Aid? And Why Is It Important? As soon as you've decided that you want to go to school and have identified schools to consider, you should probably go ahead and fill out the Free Application for Federal Student Aid, generally called "FAFSA." If you are to receive any kind of federally sponsored financial aid (grants, work study, or loans), you must complete this free application. A vast majority of educational institutions also require that you complete the FAFSA form as part of their application process for financial aid. On its website for Federal Student Aid, the U.S. Department of Education provides information about FAFSA and links to websites where you can fill out the form online (and review a demonstration and download worksheets). The Federal Student Aid offices encourages all students to fill out FAFSA because many students (and families) may qualify for financial aid they would not otherwise know about. The FSA office also cautions that you don't need to pay for help to fill out FAFSA—the online application form guides applicants through each question; there is also a downloadable guidebook and a helpline. Educate yourself about financial aid options. Two good places to get an overview of the financial aid process are the Federal Student Aid website, operated by the U.S. Department of Education, and FinAid.org, a public service informational site. Both sites provide a range of good information and planning tools and links to other resources. Work with the financial aid office at the schools you're applying to. The best financial aid offices are very knowledgeable and work hard with potential students (and parents) to provide information and assistance to help you find the support you need to attend their institution. If you've been persistent in requesting help but feel a financial aid office is not responsive to your requests, then you might want to look more closely at the schools among your options that provide more help. Check out state financial aid possibilities. Many states also offer financial aid options. You can locate contact information for state education agencies on the Education Resource Organizations Directory of the U.S. Department of Education. If you are in high school, check out the resources of the guidance counselor's office. Many have numerous resources and knowledgeable staff. Be cautious about employing fee-based "scholarship search services." Numerous websites and "services" offer to help you find scholarship or financial aid opportunities for a fee. Consumer advocates advise using extreme caution in paying for help when there are good sources of free help. Even the best services may identify financial aid sources you can find yourself starting with the two resources given above. Even if a service is able to locate "obscure" sources that you couldn't easily find, many of such sources may be limited to specific types of students or have extremely limited funds. Nor do the services typically help you with any application forms or processes. If you still wish to consider a service, read all their policies carefully and check them out carefully with the Better Business Bureau and your state attorney general's office. Watch out for scholarship scams. The Federal Trade Commission and the U.S. Department of Education receive continual complaints about scholarship search fraud. If a "service" makes claims such as "you can't get this information anywhere else" or "millions of dollars of aid go unused each year" or requests your financial information (bank account number, social security number) to "hold financial aid for you"—run away as fast as you can. These are well-known red flags for fraud. The U.S. Department of Education has just published a lot of information in one document, Funding Your Education: The Guide to Federal Student Aid (pdf). It's worth taking the time to download this document because it presents information in one place that previously has been published in different documents.